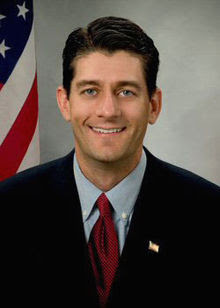 9 comments on "My Random Connections To Paul Ryan"
Paul Ryan is 50% Irish, 37.5% German, and 12.5% English (from his Kay great-great-grandparents on his mother's side, both English-born). Similar combination to Tom Cruise, actually - 3/8th German is identical. Are you sure, Dori? What's your source? I found a marriage record that identified PW's parents as Patrick Ryan and Margaret Fitzpatrick. But it could have been a different PW who also happened to live in Rock County. Regardless, the Rock County links I describe in the blog post would be the same. I am wondering if my ancestor was a sibling of James Ryan? Supposedly there were 7 brothers from Limerick. James' brother Michael (if they were siblings) had a son he named Michael who was deaf, and enrolled him at the Wisconsin School for the Deaf in Delavan. Since my great-grandfather was this deaf person, he did not pass down much information. Any help would be greatly appreciated. Thanks. That's interesting Dori. My great-great grandfather was James Ryan (1820-1892)born in County Limerick, emigrated to the US ending up settling in Green Bay. He worked as a civil engineer building the canal systems around Lake Winnebego. He married Catherine Sullivan of County Kerry. They had seven kids, one named Humphrey who had a son named Patrick, who stayed in the Green Bay area. He's not really any more Irish than Obama who can trace his mother's origins to the Kearneys of Monegall, Co. Offaly. I would like to know if the James Ryan who emigrated here and settled in Janesville in 1851 is of any relation to the George Ryan in my family that emigrated here and settled in Watertown, WI in 1852. George's first-born son was named James as well, so it's plausible, yet I have no proof.